Frugal deals...The following section will help the reader of frugal retirement living keep some of their hard earned money by buying online. In my previous life, I was a commercial real estate broker specializing in the leasing of office and retail space. What major companies pay for prime space is passed along to you the consumer...Some of the per square foot prices in better locations are very high. The stores also have to be staffed by trained personnel... Their salaries are passed along to you the consumer. Frugal deals...How many times have you done the following? Let's say you've heard of a new electronic gadget that you think you might want to own... you play around on the Internet trying to get as much information as possible but you still have some questions. 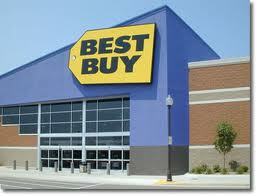 Good old Best Buy is 5 miles from my house. I have already checked, online of course, that this store has the very item that I'm interested in purchasing. I go to Best Buy and discuss the product with the salesman who answers all the questions I have about compatibility with my existing equipment... ease of installation... will it do what I expected to do... etc. In essence I have picked the brain of an employee of a bricks and mortar store. I cannot remember the last item that I purchased from Best Buy. The only store that I would ever consider purchasing an item in the store is Costco... which has a limited selection, and almost no help from knowledgeable employees... that is not a bad thing, but you cannot beat their return policy and customer service. The online retailers that I am listing below all have outstanding ratings and reputations, and the lowest prices possible because they do not have to staff or stock retail sales locations. We have eliminated the middleman and are about to save some real money. I am not saying that these are all "frugal" sites, but if you are going to spend for a service, whether I believe in the sites products or not...these will enable you to spend less. These sites are provided as a service to you the reader of Frugal Retirement Living.